We collaborate with important companies in this sector and Public Administrations in projects for applying bioclimatic solutions to construction and actions focused on the energy refurbishment of buildings. We combine our expertise, know-how and experimental means to bring about the continuous improvement of road infrastructures, in particular regarding key aspects such as safety, energy and the environment. We are currently working on designing, developing, adapting, integrating and validating bioclimatic solutions for building construction by using advanced design codes and energy and fluid dynamics simulation, equipment and tools for measuring energy consumption and savings in real conditions, and optimised control strategies for energy management designed by us. 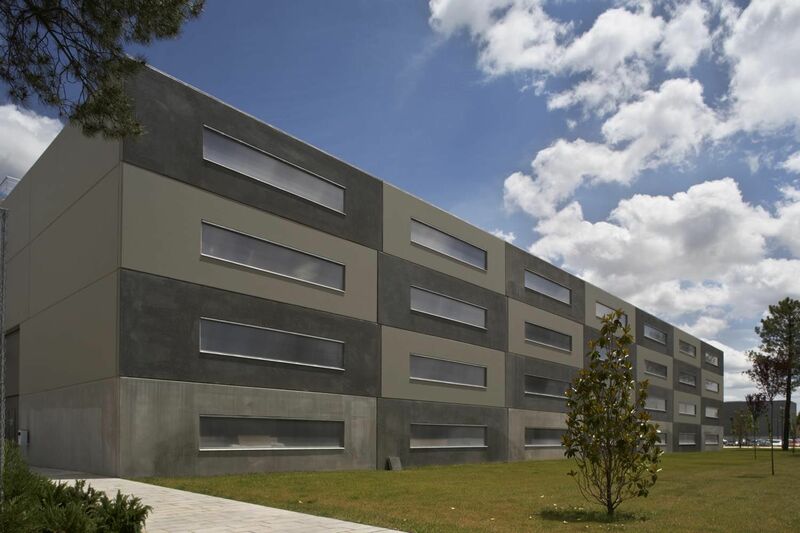 We conduct energy efficiency studies on buildings and singular bioclimatic solutions. We have the know-how and specific tools and means for energy certification of buildings by using proven methodologies for simulation and experimental validation. We perform building energy audits and certifications, for which we have the appropriate know-how and experimental means and codes. We actively take part (design, execution and usage) in projects and actions for the energy refurbishment of buildings and districts by defining and providing singular bioclimatic solutions and evaluating financial, energy, environmental, and sustainability criteria and indicators. We provide in-house developed products and technology for renewable power generation and energy savings in buildings, optimising the overall energy efficiency of integral building refurbishment solutions. We devise life-cycle studies and analyses. We study road infrastructures by taking their environmental impact and the safety in the transport of people and goods into account. We check the influence of design, equipment, signage, and state of conservation of roads on user behaviour and vehicle manoeuvrability. We evaluate the performance of protective elements, such as safety barriers, and sign posts after crashes, and analyse road surfaces and the layout and design of roads, shoulders, and junctions in the event of drive-off-the-road events. 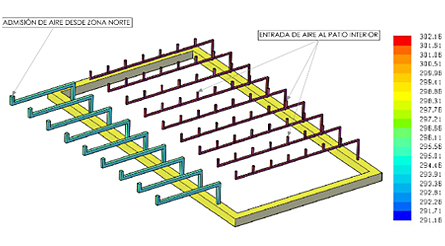 We propose road equipping, design and construction solutions in order to guarantee user safety. We develop equipment, technology solutions, and software tools that enable us to make, from statistical data, a diagnosis – with the corresponding cost/benefit analysis – for optimising available resources. By means of modern ITs we provide specific programmes and sensors that allow knowing the state of traffic in real time and, thus, being able to manage those actions aimed at improving user safety. We are currently working on identifying materials and technologies with a small environmental impact, that is, whose introduction involves a smaller consumption of energy and which have smaller maintenance requirements and lower noise emissions. 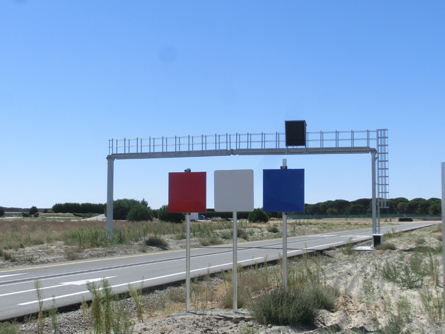 We provide solutions with minimum energy consumption for road sensors and information boards. 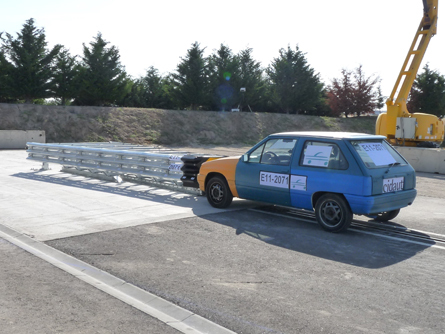 We have a Road Infrastructure Safety Lab – occupying nearly 25ha of land and 20,000m2 of paved streets – where we can reproduce any type of road infrastructure and perform on them controlled tests to evaluate the passive safety of infrastructure elements, the operation of ITS systems and their interaction with users.